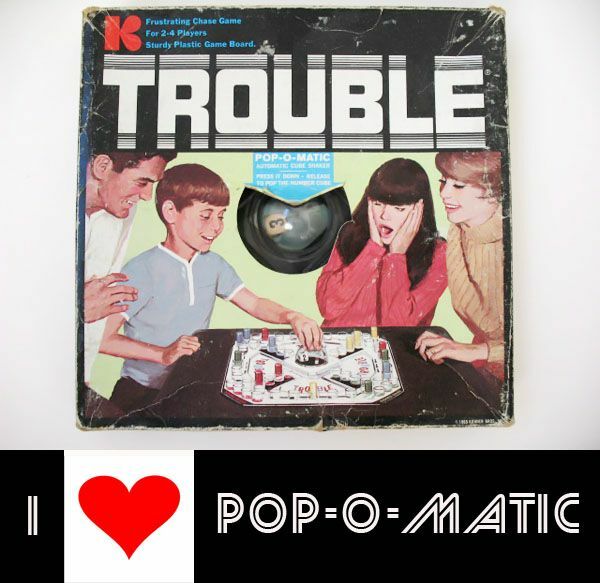 Chairman of the Board :: Pop-o-Matic! I love old board games. I especially love the graphics. But I also really enjoy playing them! One of my favorites? 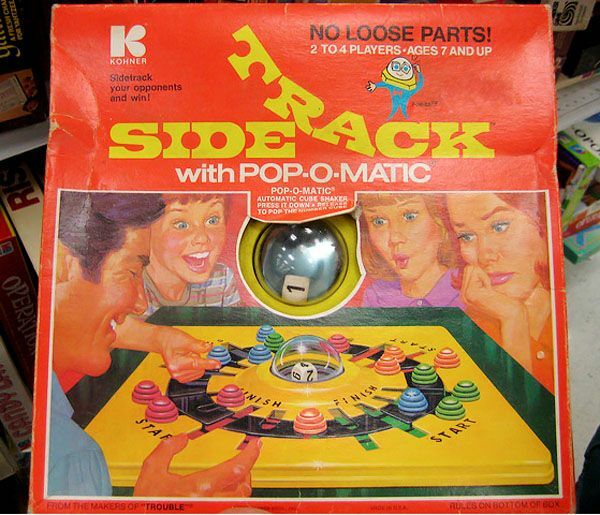 The Pop-O-Matic! If you’ve ever played with one before, then you know that satisfying CLACK! POP! sound it makes. Ahhh. Perfection. 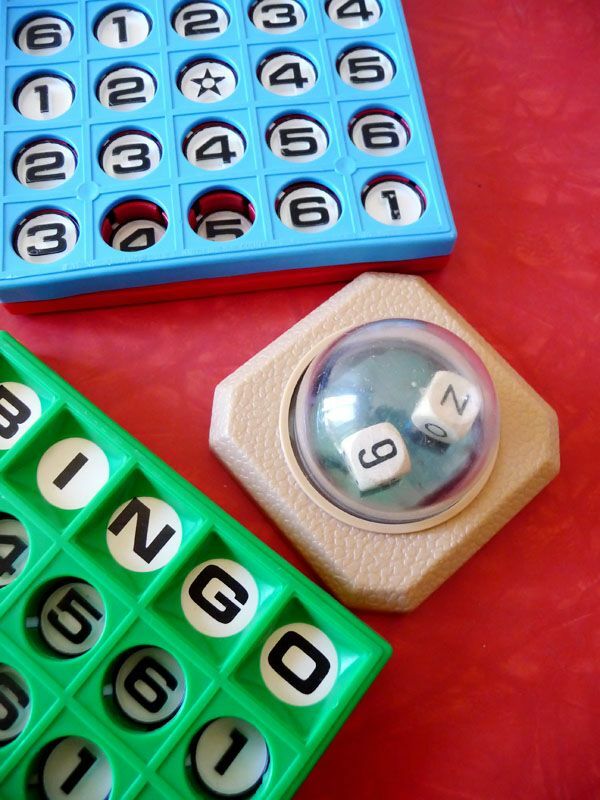 Just in case you’ve never played one, the Pop-O-Matic was a small plastic dome that housed the dice (or die) for your game. 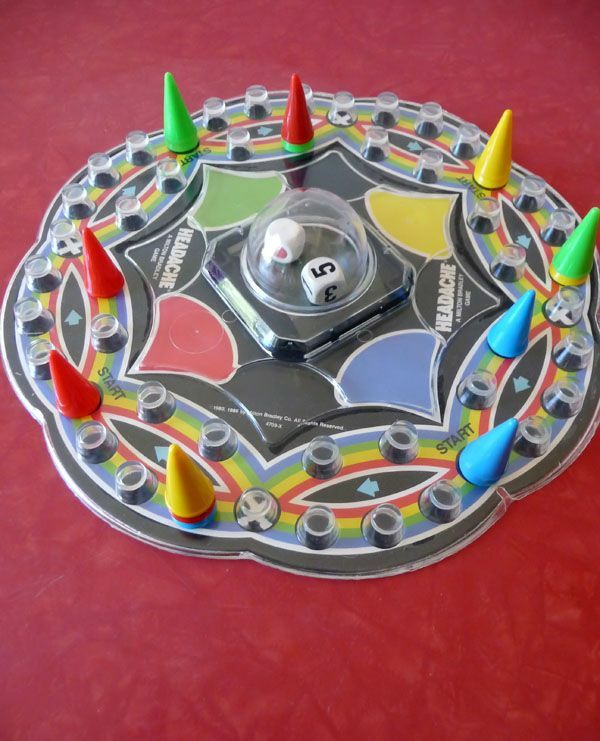 You pushed down on it, and it caused the base to flex and “pop”, shaking the dice and rolling them for you. So cool! 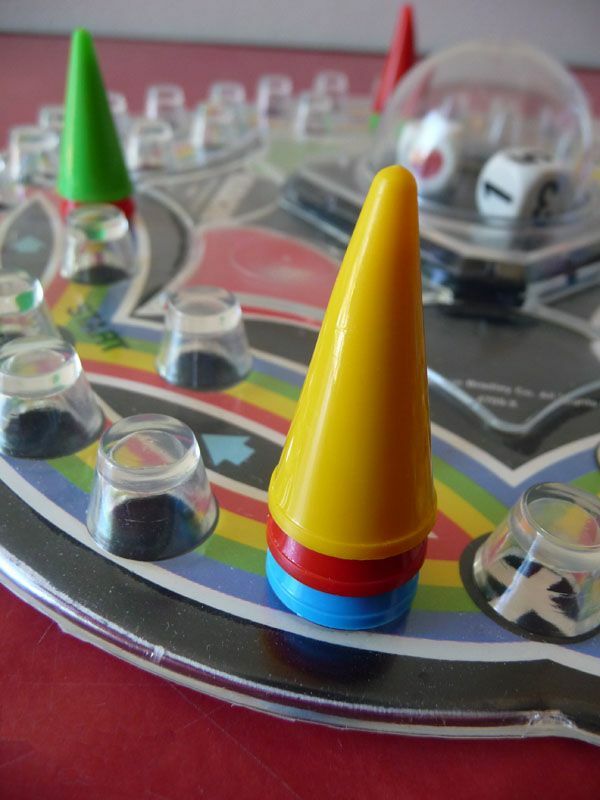 It was awesome for a ton of reasons—you never had to worry about losing your dice, no one could cheat, and of course it was SUPER FUN to pop! 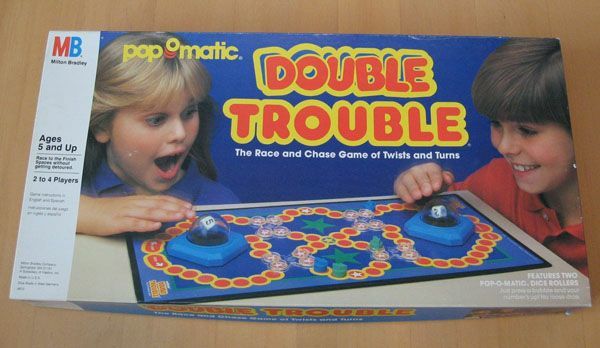 The most famous of the Pop-O-Matic games is Trouble. 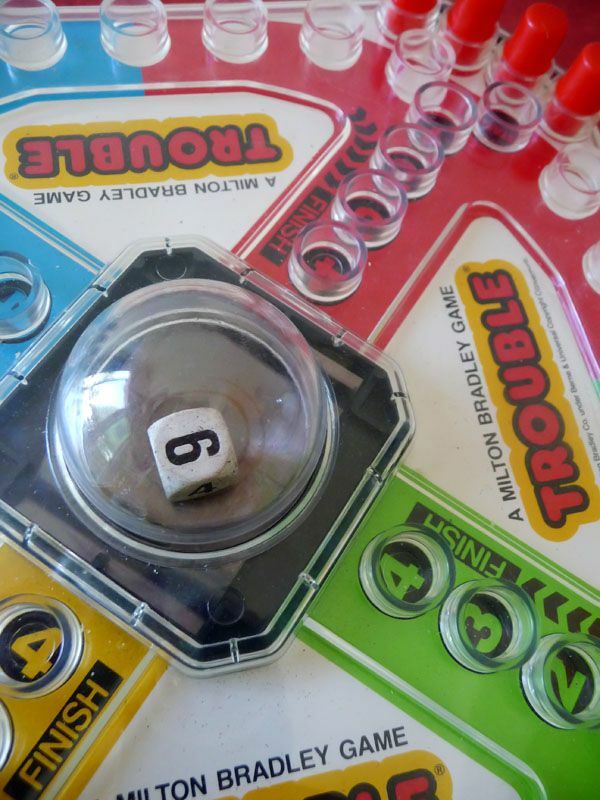 You can still buy the Trouble game today and I highly recommend it! You know how some games are great for kid’s but as parents they aren’t reeeally that exciting? Well this one is seriously fun for the whole family. Easy to play, fun to pop…and lots of family-friendly competition when you send your opponents pegs back to home base! There is a Star Wars version, but I’m not a fan (don’t get me wrong, I’m a HUGE fan of Star Wars….but when you pop the thingie, you hear a lound R2-D2 beep whirl sound effect and it ruins the classic pop-o-matic experience for me. Just sayin’….). We liked Trouble so much that when I found this little guy at the thrifts a while back, I had to scoop it up. 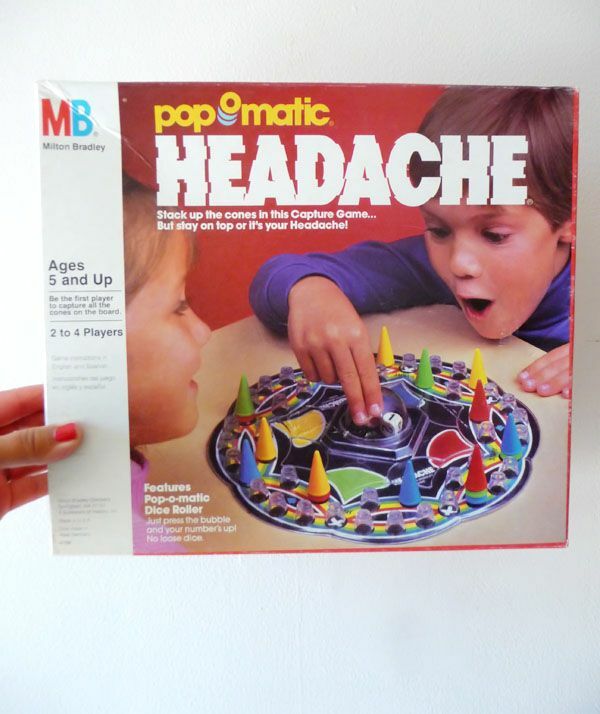 Headache is really similar to Trouble, but instead of booting your fellow player back to home base, when you land on the same spot, you get to stack your piece on top of theirs and it becomes yours. AWESOME! Dottie and I also reminisced awhile back about putting the little red cones on our fingertips and pretending they were long, glamorous finger nails! Oooh lala! 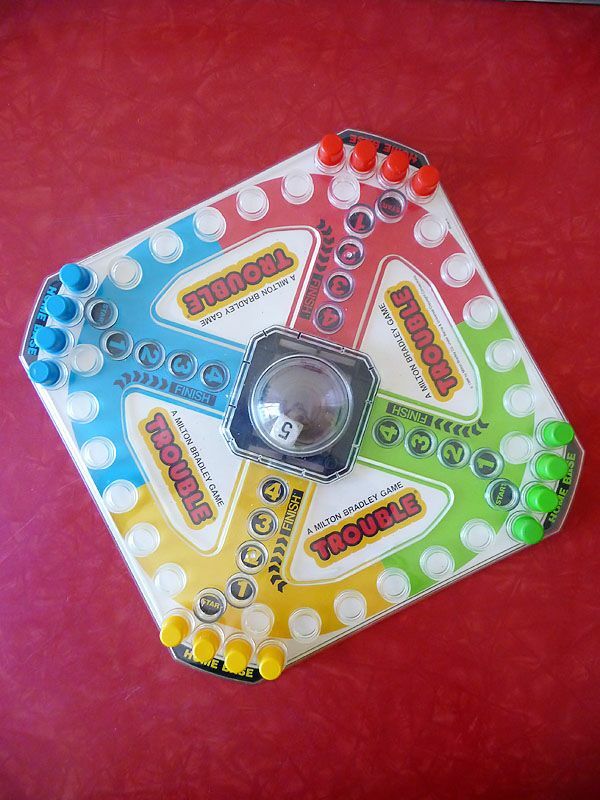 While I remembered playing Trouble and Headache when I was little, I had never seen this gem before. No Loose Parts = AWESOME!! And I’m thinking this will be perfect for playing on my folk’s pontoon boat this summer. 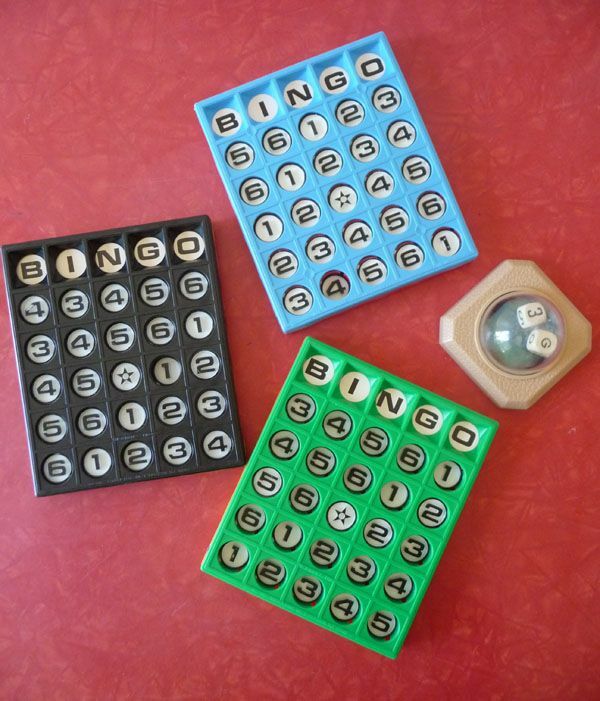 Even the bingo cards are tactile and fun (you “punch” the numbers down when you get one!). 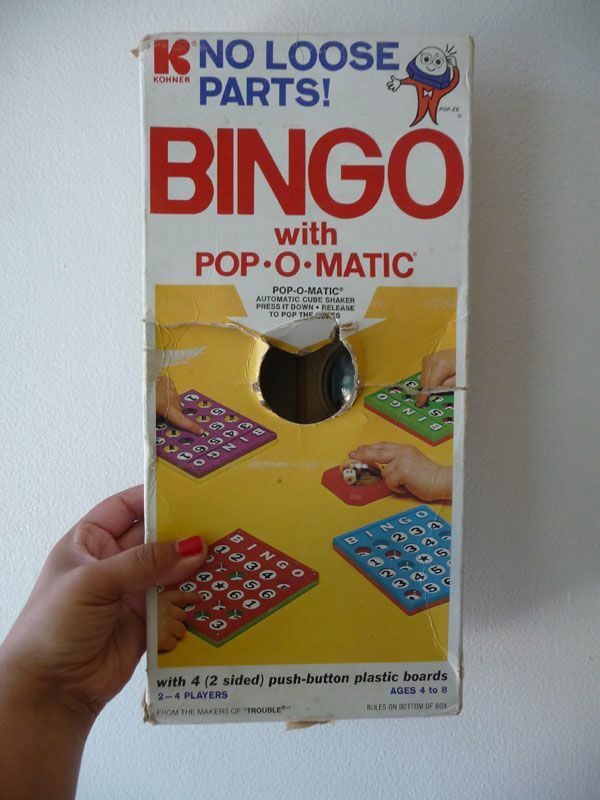 You know I always like to give you guys a lil history on these vintage things I love, but I have to confess I honestly don’t know much about the actual Pop-O-Matic! I do know that initially it came with board games from the Kohner Brothers, and eventually Milton Bradley….who are now part of Hasbro. 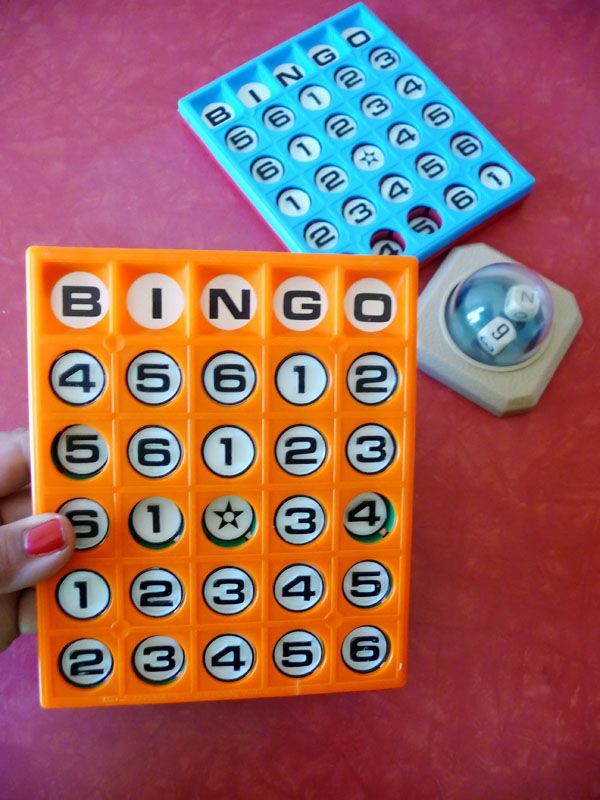 Finding BINGO made me realize that that there was a whole world of other Pop-O-Matic games out there. I poked around an just look at these groovy games! I think some of them might have cooler graphics than game play—do you really need dice for checkers? Hmmm. 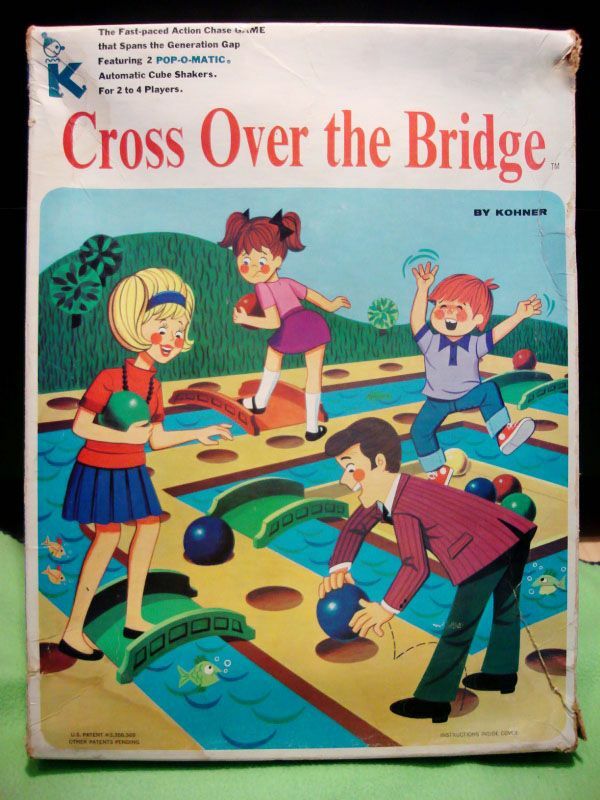 I have to warn you, I saw inside this Cross Over the Bridge game and it doesn’t look nearly as fun as that super awesome box artwork! 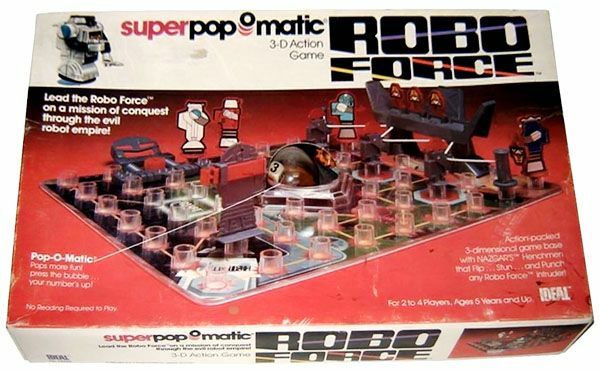 This Robo Force game looks totally confusing but I so love the idea of a GIANT SUPER Pop-O-Matic!! But I can’t lie….DOUBLE TROUBLE looks RAD!!!!! OK, let’s finish this round off with a BONUS VIDEO! The old Trouble commerical. Just wait til you heat the POP! CLACK! 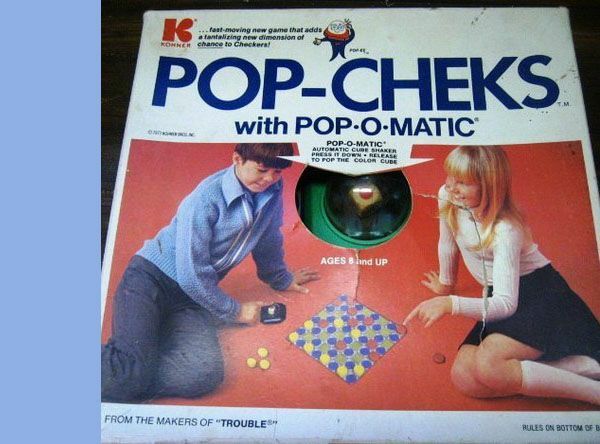 Do you remember playing with the Pop-O-Matic?? Wasn’t it awesome! 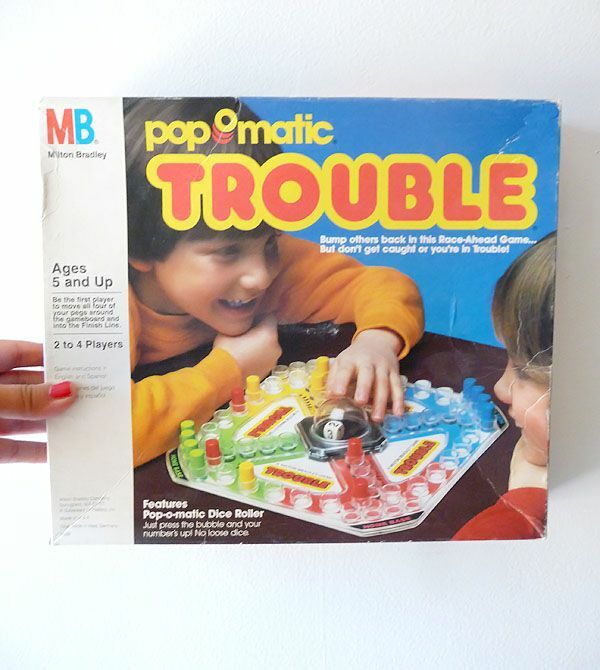 You can get a new Trouble game here or you can grab a vintage Pop-O-Matic game from Etsy over here! Posted in Vintage Childhood, Vintage Toys + Fun Stuff. 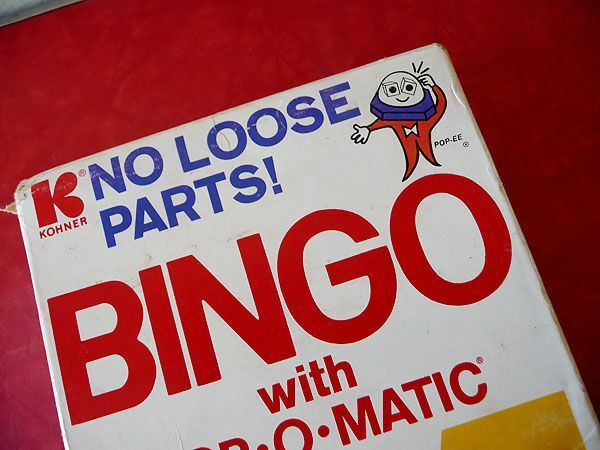 Tagged with pop-o-matic, vintage board games. YES! TROUBLE! 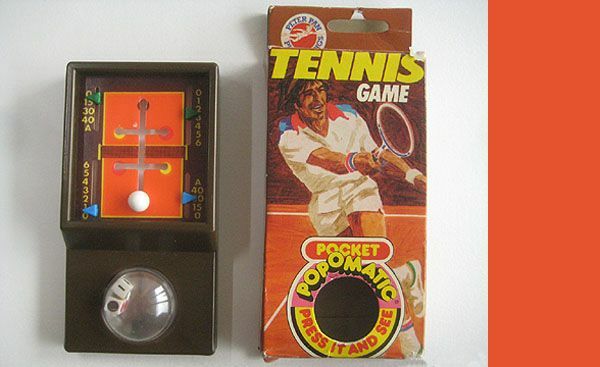 I think my Grandma still has that game in her cabinet! I love TROUBLE! Gonna have to thrift one for my little Spud! We love that pop o matic bingo! Its great for trips–no pieces to loose! Great memory rousing here for me, too! 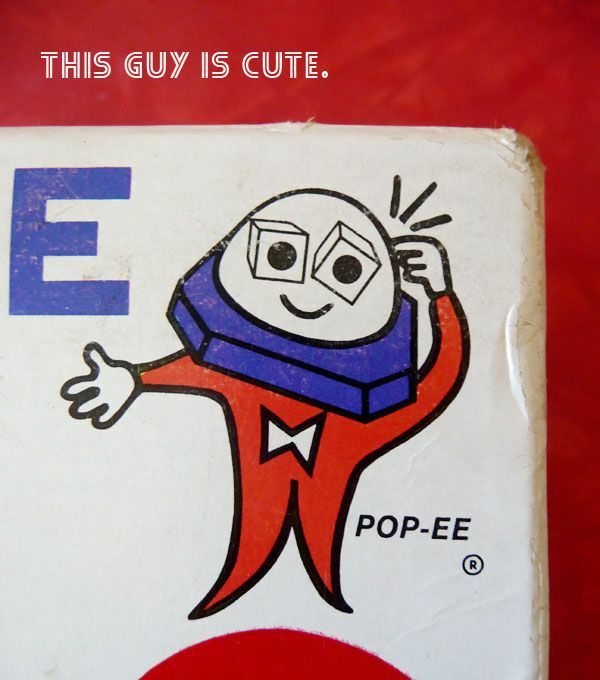 So anyone know where I can find a pop-o-matic alert tone? no but that’s GENIUS and I might have to create one!!!! !